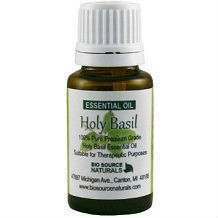 The most popular clinical study of holy basil’s effects on stress was published in the 2012 Evidence-Based Complementary and Alternative Medicine journal. The survey involved 158 participants suffering from moderate stress levels, including headaches, forgetfulness and exhaustion. These individuals were broken into a test group and placebo group and evaluated for six (6) weeks. At the end of this time frame, the test group showed significant decreases in stress-related symptoms. Additionally, none of the participants reported any negative side effects during the experiment. The manufacturer does not provide clear instructions on the suggested use of this product. The manufacturer does caution not to use this product while pregnant or nursing, if you have a history of health problems or if taking anticoagulant medications. At the time of writing this review this product was found at a price of $13.15 for a 0.5 oz bottle. The manufacturer does not specify how long a bottle should last. When researching this product, the manufacturer does provide a 30 day guarantee. 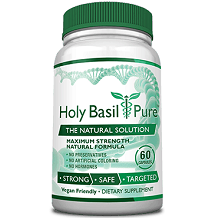 There are a lot of great stress relief treatment products on the market, including Bio Source Naturals Holy Basil Essential Oil. However, it is not FDA cleared.